Geography, at its core, seeks to understand the question of "where?" A dynamic subject in and of itself, the courses that encompass geography invite the exploration of the human and physical forces that shape our planet. Whether it is the vast mountain ranges that impact our climate, or the process of migration that effect the systems of interaction, geography seeks to make sense of the planet through the examination of geographic data. Working with facts and data to come up with a clearer picture of what happens where, geographers can better explain the many different forces that impact us around the world. This year long class will introduce students to the systematic study of patterns and processes that have shaped human understanding, use, and alterations of the Earth’s surface. By looking at the relationships between cultural groups and their physical geography it is possible to find relationships that allow geographers to understand better how humans are shaped by their physical world, and change it in turn. We will be looking at different cultural phenomenon such as language, religion, government, and economic systems in order to make connections between different cultural set and how they interact with one another. 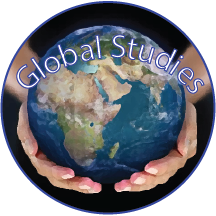 By examining maps and other geographical tools students will examine correlations between the physical and human world and the interactions that have shaped our planet and human life. This course is designed to increase the students’ understanding of the world and develop their critical thinking skills. Upon completion of this course students will be given the opportunity to take the Advanced Placement test for the possibility of college credit. 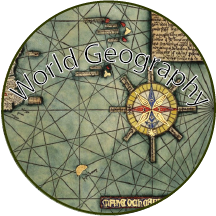 This project based approach will give students an introduction to some basic concepts of Geography, with a focus on map making using Geospatial technologies. Students will get a brief overview of what are some of the technologies that are available for geography, and how they can be used to better understand the world. A particular emphasis will be on the use of the cloud based service ArcGIS and the ideas of map basics, design, and advanced techniques of map mapmaking. As a continuation of the topics of speciation and biodiversity from the biogeography course, this course examines the patterns of adaptations and variations that occur across different ecosystems and at different latitudes. The emphasis of the course will be on the animal and plant adaptations and specializations that species have made to survive in different environments. Students will incorporate topics from biology, botany, and zoology under a geographic framework to better understand the connections that plants and animals have with the environment they live in. Using project-based methods of observation, data collection, and geospatial modeling, students will incorporate in scientific studies to better understand spatial distributions of the planets plants and animals. This one semester class explores the uses and applications of Geographic Information System (GIS) software. With the internet there is more information available than ever before, GIS gives users the possibility to display this data in new informative ways. Students will use GIS mapping software to collect, display, analyze, and share data as informational electronic maps. This project based course is part of the St. Paul Preparatory School STEM program and also counts as a social studies elective course. This one semester class will introduce students to the systematic study of patterns and processes that have shaped human understanding, use, and alterations of the Earth’s surface. By looking at the relationships between cultural groups and their physical geography it is possible to find relationships that allow geographers to understand better how humans are shaped by their physical world, and change it in turn. We will be looking at different cultural phenomenon such as language, religion, government, and economic systems in order to make connections between different cultural set and how they interact with one another. This course is designed to increase the students’ understanding of the world and develop their critical thinking skills. Geography is the science of space and place on Earth’s surface. It is an integrative discipline that brings together the physical and human dimensions of our world. Geography’s subject matter is the spatial arrangement of the physical and human phenomena that make up the world’s environments and gives character to places, large and small. Geography describes the changing patterns of places in words, maps, numbers and graphics, explains how these patterns come to be, and unravels their meaning.